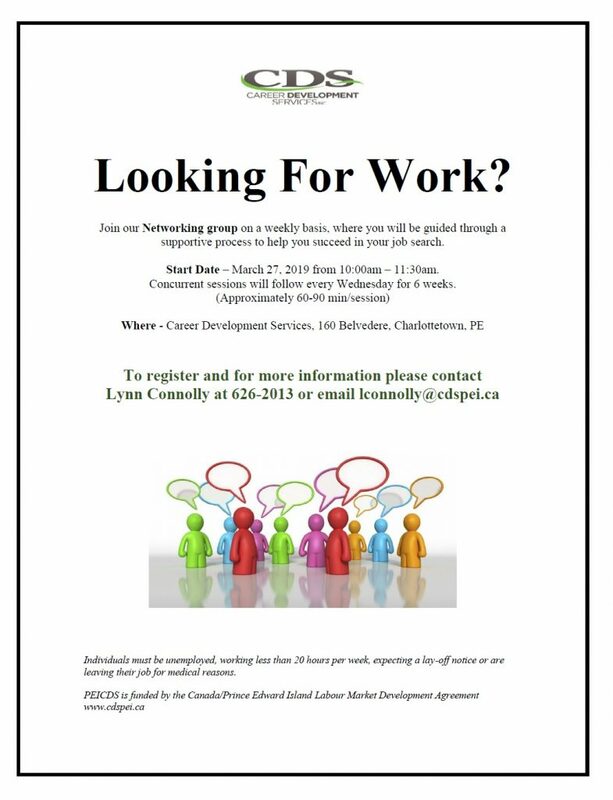 It can be a challenge to look for work and make connections to employers while living on PEI. However, if you are trying to find work on PEI while living off-Island, that is another challenge in itself. There certainly are jobs available on PEI, but it takes time, research, connections, and perseverance to find that job that suits you. Top 5 steps to successfully job search on PEI: PEI employers and top experts in the career development profession told us what works best when looking for work — click here. Job Posting sites: Being aware of Job Posting sites that advertise PEI jobs is very important. But remember only 15 percent of jobs actually available are advertised. Check each Job Posting site regularly because each one might have slightly different postings, click here. Informational Interviews: Because only 15 percent of jobs are actually advertises you have to go looking for the rest and the one that fits you. Setting up an Informational Interview is a chance to find out more about a company, for you to give the employer your resumé in person, and to find out when they tend to hire and the qualifications they look for. Often, people get hired on the spot because they came at the right time. Click here. PEI Industries: Another way to connect with employers is being very aware of the industries on PEI and the hiring practices of employers in each industry. This next link will help you dig into each industry and realize what jobs are in demand: click here. Help with your job search: Still hanging in there? Great! There are resources across PEI that can help with your job hunt. Here is a link to all of the services and programs that are available for job seekers. Feel free to contact a service provider and ask the questions you need answers to: click here. If you need help deciding which organization would suit your job search needs, feel free to call us at 902-894-4100 or email. Daily news and current Employment Journey publication: Keeping up on current employment-related news on PEI is key. This keeps you in the know and gives you leads and contacts — click here and click here. For more information on employment opportunities in the bioscience industry on PEI, contact Vivian Beer at 902-367-4407 or e-mail [email protected].